A boning knife is one of the essentials in the kitchen. 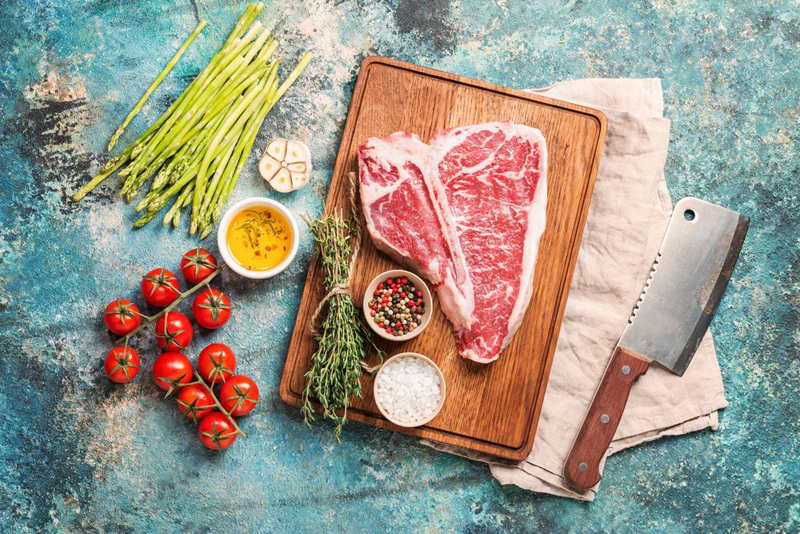 Regardless if you are a novice or a seasoned chef, this will help in making it easier to remove bones from a meat. It may look small, but it can be truly functional in the kitchen, which makes it important to invest in such. 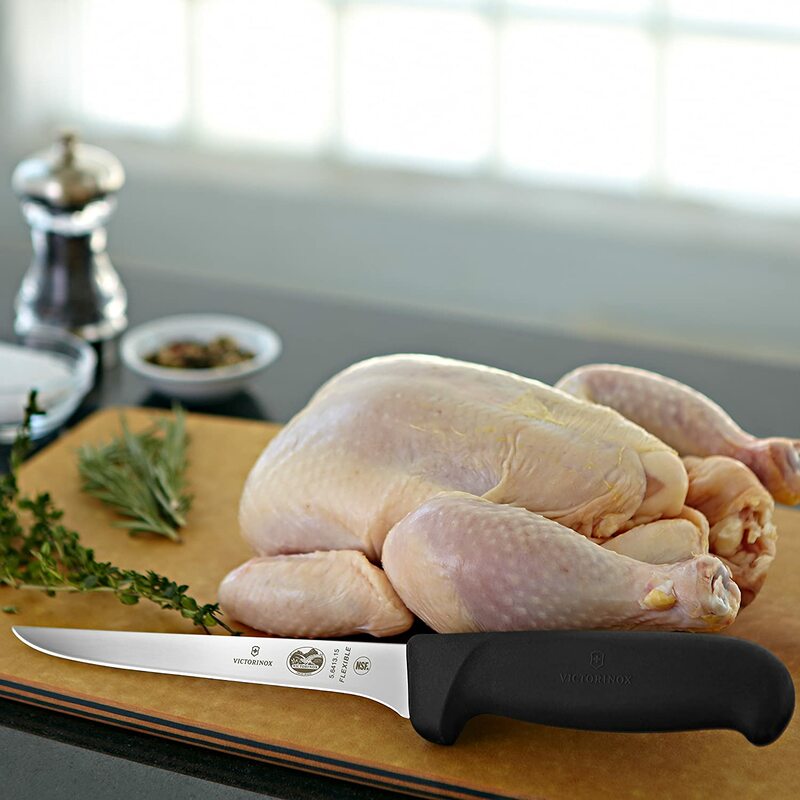 If you are looking for the best boning knife and if you are clueless on which one will make the best choice, keep on reading the rest of this post and learn more from our recommendations. We will let you know some of the most important considerations, and more importantly, the top five products that you might want to take into account. Blade: This is perhaps the most important part of the ﻿knife, making it a critical factor to consider. Its size ranges from three to ten inches. See to it that it is flexible and made from excellent materials. With the right material of choice, it will last a long time and will not be easily prone to rusting. Construction: In this case, we are referring to the construction of the blade of the boning knife. It will be good if it comes with a full-tang design. The latter means that the blade is extended from the knife’s tip to the handle’s bottom, which makes it great for extended cuts. Handle: The handle should be comfortable and stable. It should be made with an ergonomic design, which means that holding it even for a long time will not contribute to fatigue. Also, see to it that it has a non-slip material, which will prevent your hand from being accidentally cut. Cleaning and Maintenance: To make the knives last longer and demonstrate the best performance, they should be regularly cleaned. Choose knives with a tight seal between the handle and the blade. This is also more sanitary as there will be no entry points for bacteria. Price: A lot of you may be tempted to choose one product only because it comes with a cheap price. This should never be the case. After all, quality should be prioritized over quantity. With this, it should not matter even if the knife of expensive if this is tantamount to enjoying top-notch features. Warranty: This is important if you want to have peace of mind. Within the warranty period, the manufacturer backs the quality of their product. If it breaks, you can have it returned. They can either have it repaired, replaced, or they will issue an unconditional refund. Reviews: If you still have no idea on which one will make the best choice, it will be good to rely on online reviews. A lot of buyers and users have been generous enough to share their experiences, which will provide you with an easier way to see how one product is better than the other. One of the most important things that you should do is to use the knife only as intended, which is for the purpose of boning. 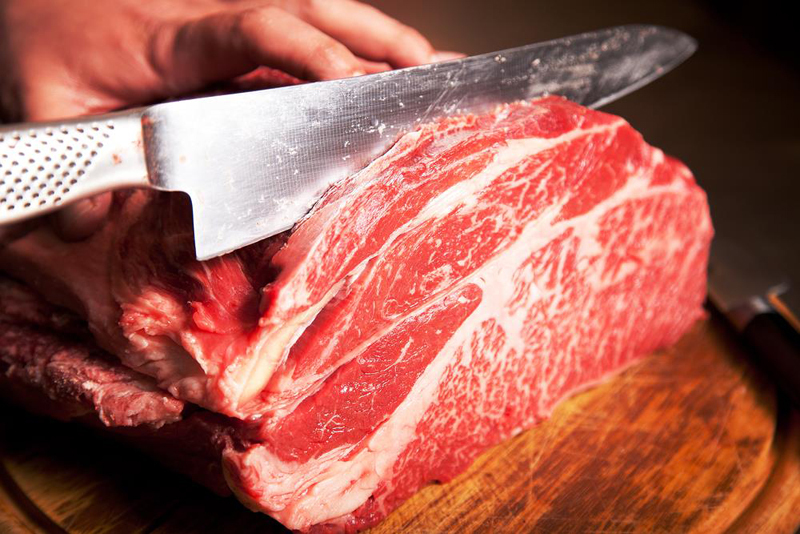 It has a thin and usually flexible blade, which does not make it good for other tasks, such as cutting hard meat. Do not lea﻿ve knives in the sin﻿k or soaked in wat﻿﻿er. As much as possible, they should be hand-wash on their own. Leaving them submerged in water can make them prone to rust and corrosion. Proper storage is also a must. If you use the knives frequently, it is recommended that you use a magnetic strip. This makes it easy to access the knives and prevent them from colliding with blades of other knives. If you will keep it for a long time, wrap the boning knife in a sheath so that it will be protected from external elements. Keep your knife sharp all the time. The blades will become dull over time, but this does not mean that you have to replace the entire knife. By sharpening the blade, you can restore its peak functionality. Best of all, this will also improve safety when using the knife. In this section, we will have a quick rundown of five of the best products that are available in the market, as well as some of the notable features that give them an edge above many others within the competitive landscape. The mere fact that this boning knife is made by Victorinox can already give you a good reason to have it considered above all others. With the brand name, you can be confident that it will be hard to rival when it comes to the reliability that it can deliver. Feature-wise, one of the things that we love the most about this product is that it has a thin blade, which is exceptional because of its flexibility. Whether it is small or large bones that you have to remove, you can do so with relative ease. The design of the handle is another feature that is impressive in this model. It is made from a material that does not easily slip out of your hand. One of the benefits of the latter is that you will have easier control, aside from making sure that you will not have to complain of discomfort. The blade is made from carbon steel. There is a possibility that it will show signs of rusting, but this is only the case if you do not pay attention to proper care and maintenance. It has a conical shape and can maximize its sharpness even with long-term use. For budget-conscious buyers, this is one option that should be on the top of the list. Despite its price, however, you can expect that it will be impressive when it comes to functionality. 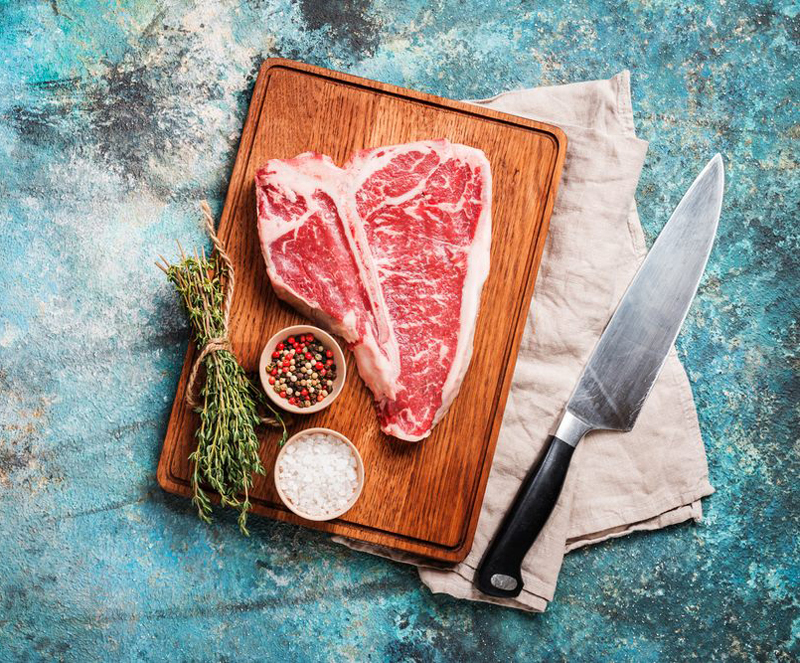 It will allow you to debone meat in a manner that is as effortless as possible. The blade is made from high-carbon steel. This is an excellent material of choice if your main concern is durability. However, depending on the extent of use, it can get dull pretty much in a short time. To bring it back to life, routine sharpening will be a big help. The handle has a length of 5.5 inches. It is pretty much comfortable to hold. However, take note that the color of the handle is white. This can be a problem as it can easily attract stain. The solution to this is paying attention to regular cleaning and maintenance. Lastly, it is NSF-listed. This should be more than enough to provide you with peace of mind. This is a proof that it has passed stringent quality testing. 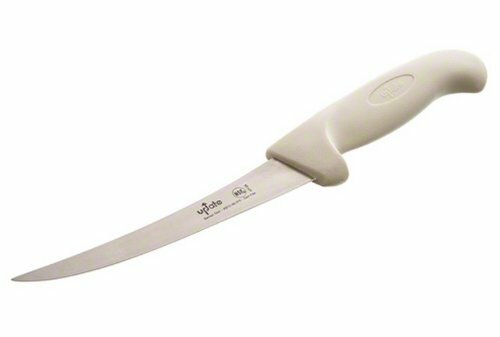 With the flexible blade of this knife, you can be assured that boning will be a lot easier, even if you are a beginner. The blade is made from high-carbon steel, which stays sharp even with long-term use. It is also durable, although you have to clean it properly to prevent the possibility of rusting. The Fibrox handle, a patented technology, is another thing that should be highlighted about this boning knife. 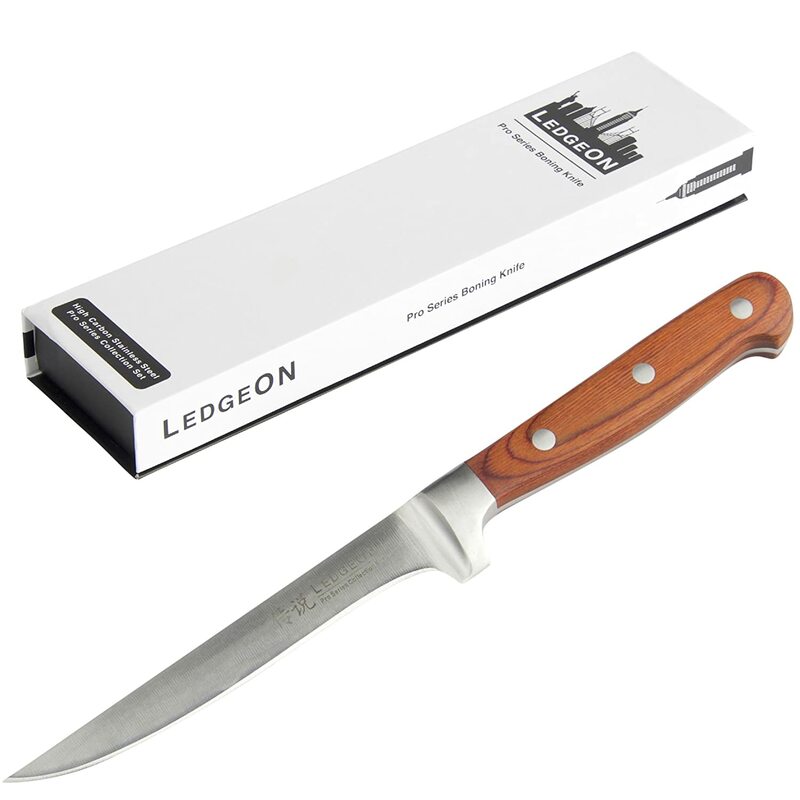 With its textured grip, you can be assured that holding this knife will be easy and comfortable. This also minimizes the likelihood that it will slip out of your hand. The overall construction is also impressive because it is made in such a way that there are no crevices. With the latter, it is a good thing that it will not be prone into being a breeding ground for bacteria. Lastly, and perhaps most importantly, the manufacturer is offering a limited lifetime guarantee. At any point, if it shows any sign of defects, just inform the manufacturer and they will do what it takes to make you satisfied. This is a boning knife that perfectly combines form and function. This is excellent in terms of aesthetics, yet its performance is not compromised. Even for the most discerning users, this is one product that will not bring regrets. One of the reasons why this makes a great boning knife is because of the curved blade. The design of the blade is optimized so that boning is a task that will be a lot easier for you to accomplish. It will be easier for you to remove even small bones from the meat. The design of the handle is also exceptional, except for the light color. With the latter, it may be easily prone to stain and dirt. Beyond this, however, it is great because of the ergonomic design, which will allow you to hold it with relative ease. 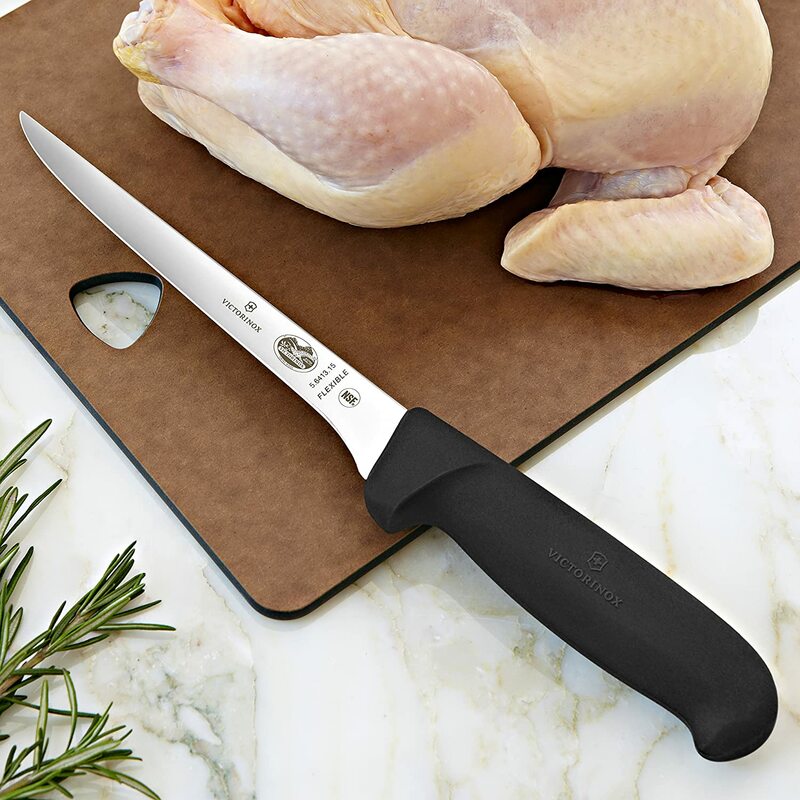 The seal around the handle is another reason why this is a good choice for a boning knife. This prevents the entry of dirt and bacteria. It also makes cleaning effortless to accomplish. 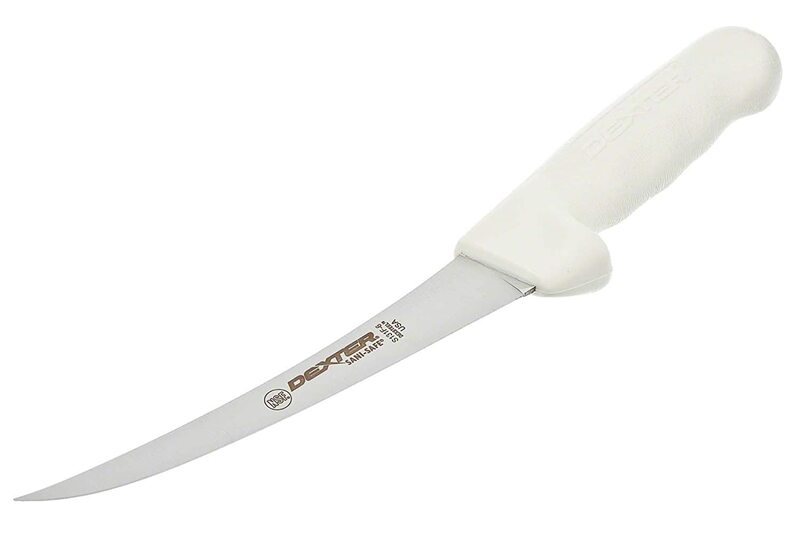 A lot of people may instantly dismiss the idea of choosing this boning knife because it comes with an expensive price. However, if you take a close look at some of its features, it will not take long before you realize that the cost is justifiable. The tapered and balanced design of the blade is one of its best assets, giving it a distinction above many others within the competition. With this, you can expect the highest level of precision and ease as you try to remove bone from the meat. It should also be pointed out that this product has undergone thorough tests before being released in the market. This provided the manufacturer with the opportunity to identify the flaws and have them rectified before the product is released in the global market. Lastly, the manufacturer is also offering a satisfaction guarantee that is hard to ignore. If you are unhappy in any way with the performance of the knife, you can have it returned and they will issue an unconditional refund. Indeed, the best boning knife will be a big help in the kitchen. 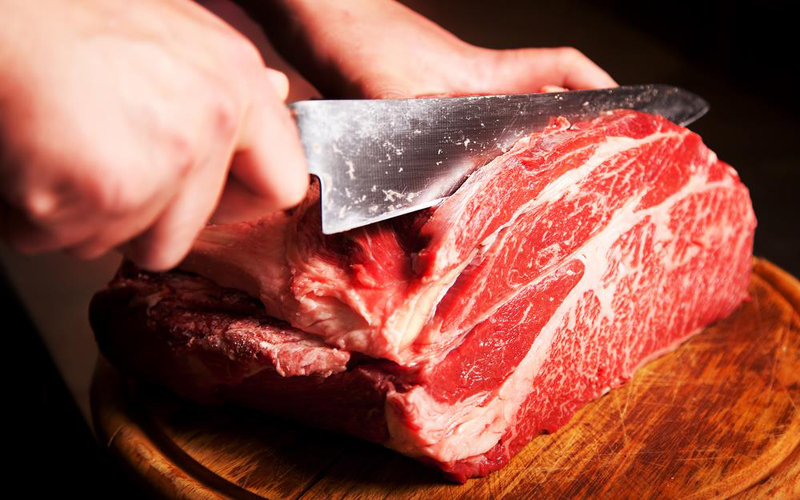 Separating meat from its bone will be a lot easier with the right choice of knife. However, to avoid frustration, be a responsible buyer and take time to evaluate the possibilities before coming up with a final decision. 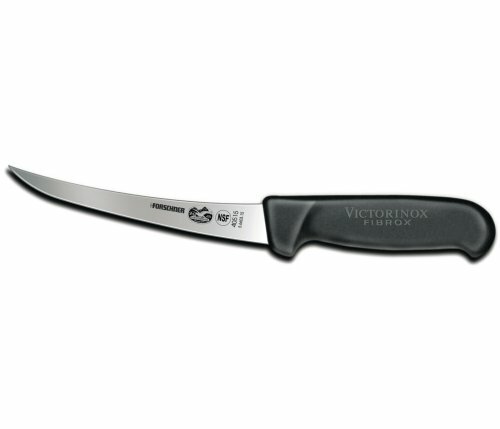 From the five products that we have quickly reviewed in this post, if there is only one that I can personally recommend, it would be Victorinox Swiss Army 6-inch Fibrox Pro Boning Knife. The latter is made by one of the most trusted brands in the market for knives, which should be more than enough to provide you with the assurance that its quality will be hard to rival.